Today marks the beginning of Earth Week, a very special week for us as it culminates on April 22, Earth Day and also the birthday of our youngest daughter, Shannon. In honor of Earth week, each day I’ll be posting nature pictures taken either at the little house in the big woods or in Winthrop, a town known for its beautiful lakes. I will admit that mid-April in Maine is not its most photogenic time. Rather, we are on the cusp of true spring, where May kicks up her heels and blesses us with a landscape so dazzling we can hardly stand it. Nevertheless, there are lovely albeit quiet moments to enjoy in Maine in April. Here are a few from our backyard. 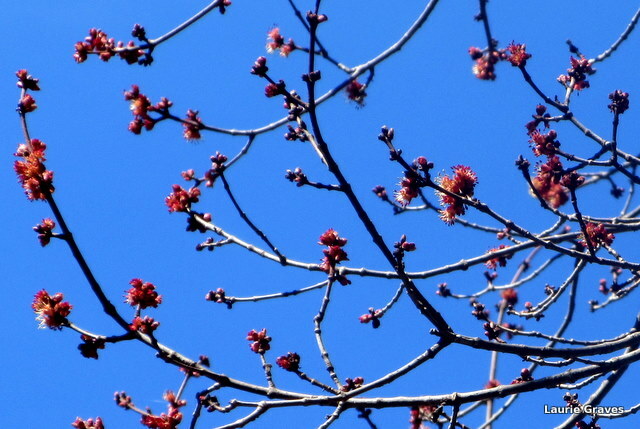 I just cannot resist taking pictures of the red buds on the maples. How I love them. 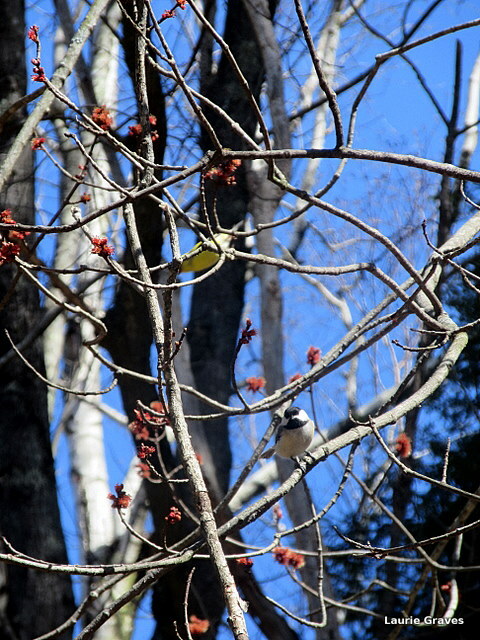 I love the red buds even more when there is a bird or two among the branches. 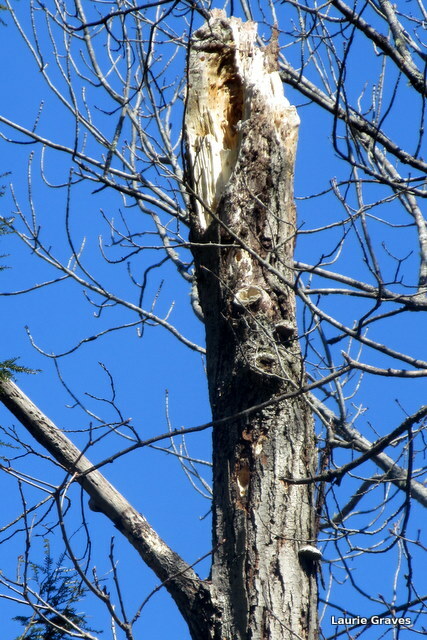 And, I was happy to find a tree spirit in the woods on the edge of our backyard. It hardly needs to be said that every day should be Earth Day. Where would we be without Earth to sustain us? However, setting aside special days to honor what we love is a long-standing tradition for humans. So let us celebrate Earth Day with a happy, grateful heart. And maybe, just maybe, we can think of ways of living more lightly on this lovely, blue planet. I remember as a teen ager in the early 70s planting dune grass at our town beach in Waterford CT on Earth Day. It may have been the first Earth Day. Brings back memories. I am so glad you are noting it. I love all the little details of spring. Today I was simply reveling in this glorious weather! I’ve reworked my post, per your suggestion…coming soon! Lovely post, Laurie. Happy Earth Week to us all! Thanks, Jodie. Yes, happy Earth Week to us all! Thanks for the reminder. Each day, when I walk the dog, I pick up trash along our street. I think it makes a difference and people are more likely to throw trash on areas already littered. I’ll make a point to do something special each day. Happy Earthday to Shannon. Thanks, Beth! I am sure you will find lovely, meaningful ways to celebrate Earth Week. A breath of fresh air, your post, with an important reminder. Thank you, Laurie.